General Information: This heirloom from the Ukraine is a favorite among heirloom gardeners and growers alike. First offered to American gardeners by Seed Savers Exchange in 1993. The old Ukrainian variety is very popular on the island of Krim in the Black Sea. 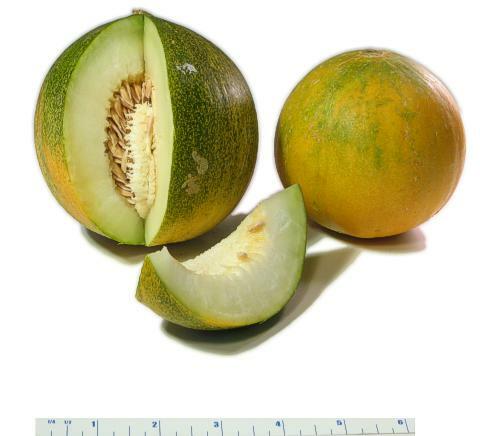 Smooth round 7-10" melons are ready to harvest when the skin turns yellowish-orange. Yellowish-white flesh is extremely sweet and fragrant. Early, ripens in central Russia and can even be grown in Moscow. Ripens early, even in Russia.